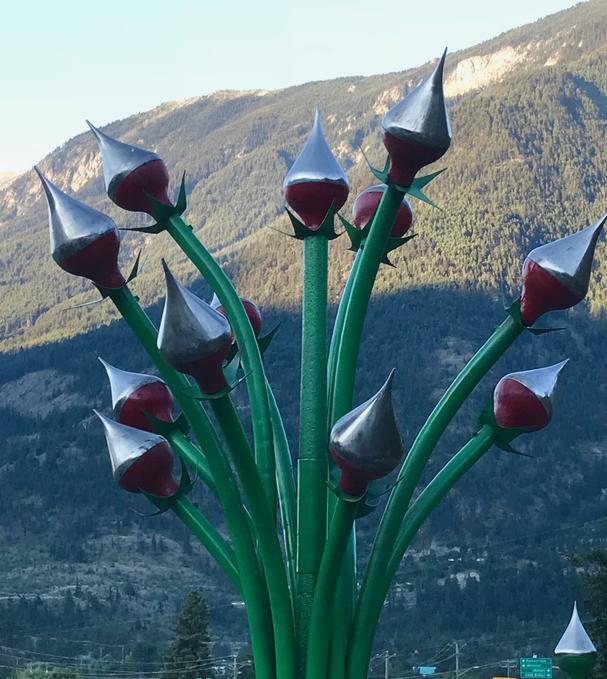 Drive about 370 miles north from Seattle, into the middle of British Columbia, and you will arrive at the cozy little town of Lillooet. The town, with a population of about 2,000 people, has a “recent” history dating back to the 1800’s during the Fraser Canyon Gold Rush. During the height of the gold rush, it was considered to be the 2nd largest town west of Chicago – second only to San Francisco. But the history of Lillooet goes back a few years before that. The First Nations community, Lillooet Band (St'át'imc) in the area considers the land as traditional territory since time immemorial. And archeologists today estimate that it has been inhabited for several thousand years, making it one of the oldest continuously inhabited locations on the continent. Today’s residents and visitors don’t have to look far to find the reason – it is indeed one of the most beautiful areas in British Columbia. Stunning vistas of the Coast Mountain range, beautiful jade green lakes, and the most abundant salmon spawning river in the world, have been calling out-door enthusiasts and fishing devotees for years. It is also one of the warmest places in Canada during the summers. The average high in the summer is 30 C (86 F), and the low is 15 C (59 F). When we were there, the temperature climbed up to 42 C (106 F)! But as they say, it was a “dry heat,” which helped. And speaking of dry – Lillooet is in a rain shadow, so lots of sunny, warm days to play in the mountains. Lillooet is located on the lee (eastern) side of the Coastal Mountains. With a west flow, the weather first moves up the range. As the air rises, it cools, clouds form, and it rains. As it comes back down the eastern side, it sinks, warms and the clouds dissipate. The area also benefits from the Lillooet Range to the south, creating a basin, so the warm air is trapped. To the great benefit of farmers in the area, Lillooet also has long summer days, with the longest one being 16.5 hours. The earliest sunrise of 4:45 am is a great boon for hikers who want to get out before the day gets too hot. When determining whether a particular crop will grow in a particular area, agriculturalists use a heat index known as Growing Degree Days or GGD. The GGD units are calculated by a formula that subtracts that specific crop’s reference temperature from the daily mean temperature of the area. This formula provides a GGD number for the region. Lillooet will now have the distinction of being separate and unique wine region by the British Columbia Vintners Quality Alliance (BC VQA). The designation of VQA (Vintners Quality Alliance) is a regulatory and appellation system that seeks to guarantee quality and authenticity for Canadian wines, similar to the AVA system in the United States. The GGD for wine grapes in Lillooet is 1467, comparable to Napa at 1458, or Burgundy France at 1319. So a great place for a winery! 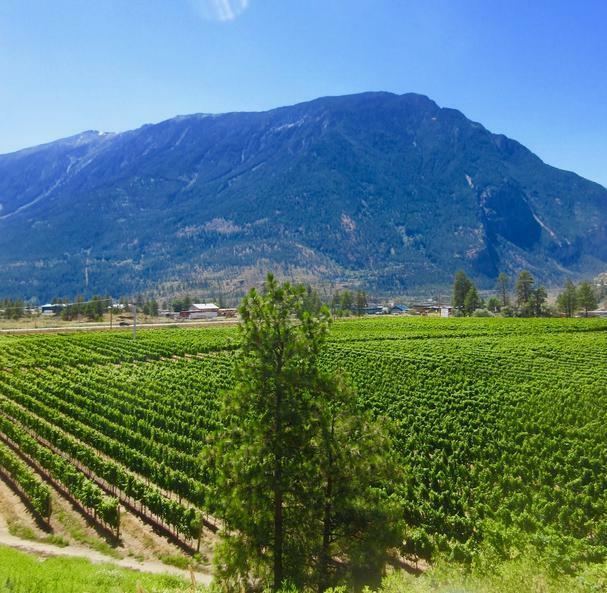 Our first stop was at Fort Berens Winery, located in a beautiful spot across the river from downtown Lillooet with views of the Fountain Mountains, the Frazer River, and the estate vineyards. Michael was honored to have a vineyard tour by employee and all-round-jack-of-all-trades, Armand Foisy. I chose to enjoy a nice glass of the 2017 Riesling in the air-conditioned tasting room with the magnificent view. While I was relishing the crisp, off-dry and rich white wine, with tastes of pear and green apple, Michael was getting an education from Armand. Armand is well-rooted in the farming industry in the area. He went from being an auto mechanic to the plant science department of a local ginseng producer. He now applies all of these skills in his current role at Fort Berens. From pruning the vines to wrenching on the equipment, Armand has a wealth of knowledge. As they wandered the vineyards, Armand pointed out the beneficial winds coming off the Fountain Mountains that surround the property. The breezes mix up the air in the basin and help cut down on frost and mold, and also significantly enhance the experience of sipping the delicious wine on the outdoor porch at the tasting room. Armand explained to Michael how the local Bridge River Cones (also known as the Lillooet Cones or the Salal Creek Cones), small dormant volcanoes that, along with the dirt and gravel deposited by the Frazier River have done their part in creating the complex soil structure that is so good for growing wine grapes. This beautiful combination of growing conditions and expertise has produced some amazing, and award-winning wines. The winery, which was Lillooet’s first commercial vineyard, was founded in 2009 by a couple from Holland, Rolf de Bruin, and Heleen Pannekoek. Along with that delicious Riesling, we much enjoyed the 2017 Pinot Gris. The taste notes of tropical fruit such as pineapple and mango were perfectly balanced with a hint of minerality. Next up was the Camels White, a unique blend of Siegerrebe, Ortega, and Schönburger. All three of those varietals are frost hardy, with late bud break and early ripening. For reds, we really liked the Cabernet Franc, with its full body, vibrant red color, and tastes of cherries and currant. The grapes are primarily estate grown. Also, the 2016 Camels Red, a blend of Cab-Sauv and Pinot Noir. But, what’s up with the camel names? You wouldn’t think there would ever have been camels in the Coastal Mountains. But – you would be wrong! In 1862, during the gold rush, entrepreneur John Galbreath brought in 23 camels to replace the mules used to haul equipment in the rough terrain. He hoped that the camels would be less stubborn than the mules. Plus they can carry much more weight (800 lbs. versus 300 lbs.) and need considerably less food and water to do it. Unfortunately, not only were the camels stubborn, they were temperamental and vicious! When in a bad mood (often) they would attack anything they came across – horses, mules, and people. The other packers finally circulated a petition to get them banned, and Galbreath eventually set them loose and went back to the mules. Pretty sad for the camels, although it seems that at least one of them actually survived until 1905. (Read more about the Camelsfoot Peak Trail history here). Fort Berens Winery is also a great place for a wonderful meal! After completing culinary school, Executive Chef Jean-Sebastien Ouellette then worked at Michelin star restaurants in France and Italy, where he developed a love and expertise in pairing great wine with great food. He spent 5 years working in Whistler before he fell in love with Lillooet. 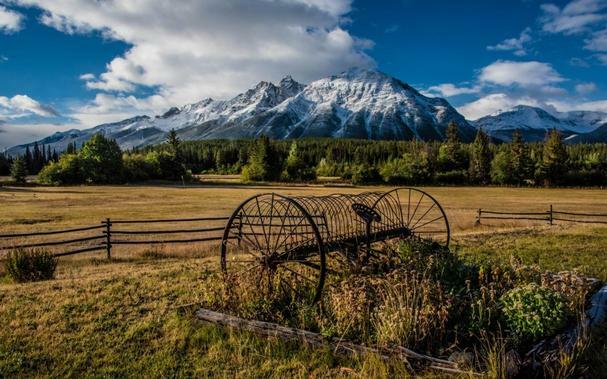 Now he fulfills his passion for working with local farmers to produce an ever-changing and delicious menu for the lucky residents and visitors to Lillooet. 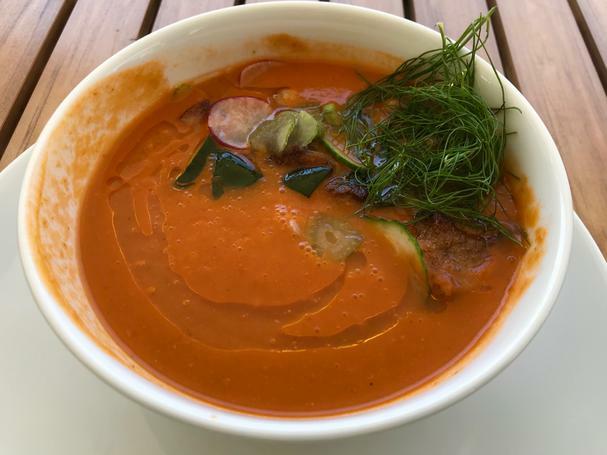 Michael, who is always on the look-out for good gazpacho, was thrilled with the refreshing and cold tomato soup with crispy chickpeas and market vegetables. The Pinot Gris paired delightfully with the gazpacho. I couldn’t pass on the BC Platter of local charcuterie and cheeses and pickled veggies. The house-made mustard was the perfect condiment, and the crisp cool Chardonnay was the perfect complement. For our main course, I continued my search for the world’s best cheeseburger with the Berens Burger. It is an organic beef and pork blend, topped with Alpindon cheese and pickled beets. My search may just be over. (but – full disclosure, I’ll have to continue my research to be sure!) Paired with the Fort Berens Cabernet Franc, it was a fantastic culinary adventure. Michael chose the locally sourced lamb, which was tender and tasty and served with couscous salad with seasonal vegetables and toasted sunflower seed and apricot vinaigrette. Perfectly paired with the smooth and full-bodied Merlot. 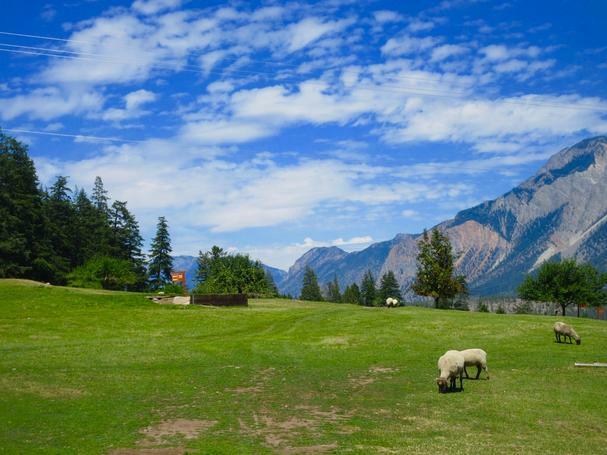 When we asked about the source of the lamb, we were told that it came from the Lillooet Sheep Pasture Golf Course, right down the road. Ok – which is it? A sheep pasture or a golf course? The answer is it is both. The next day we took a drive down the road to check it out. And, yes, the golf carts had to drive around the sheep! I’m sure the sheep help maintain the grounds, and if a golfer accidentally hits a sheep, it’s an instant (and required) sale. The next morning, Michael felt the need to stretch his legs a bit. Bearing the heat in mind, he set out at 6 am for the Fountain Ridge Trail, just a 10-minute drive from town. The gently rising trail takes you through the forest with brief views of the Frazer River. No time to finish the 9 km (5.6 miles) but there is an excellent viewpoint and picnic area about 3.5 km in. Along with Fountain Ridge Trail, there are plenty of hikes to enjoy in the area, from very difficult to what you might call a stroll in the city with some interesting sculptures. When it’s too hot to hike – what better idea than to head for the water? 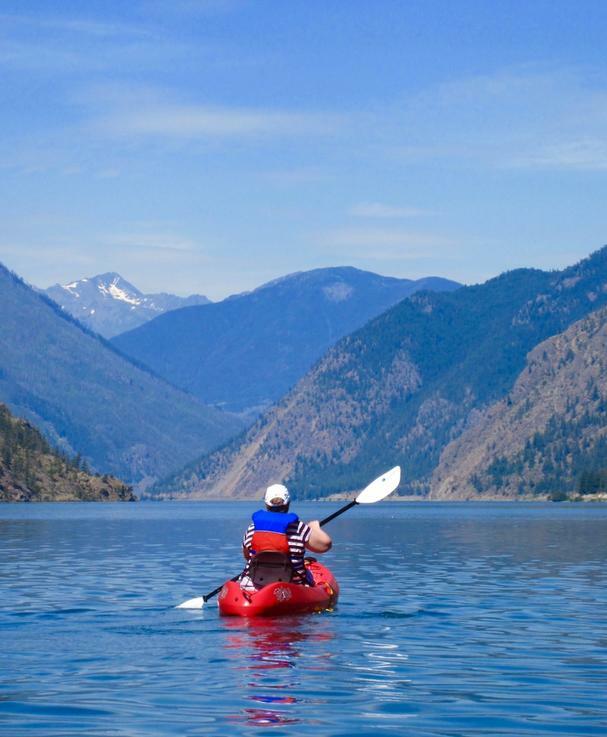 We rented kayaks on beautiful Seton Lake and paddled and floated and generally chilled out for the rest of the day. The Seton Lake recreational area is part of BC Hydro’s Bridge River hydroelectric complex. The day-use area is surrounded and shaded by a stand of acacia trees. The beach is lined with picnic tables, and there is a roped off area for swimming. The water was a beautiful deep green color, and glass-flat the day we were there. After all that fun in the sun, we headed down to Main Street in Lillooet for dinner at Dina’s Place Restaurant. Specializing in Greek, Italian, and Western Cuisine, Dina’s place is a lovely and homey restaurant. The Hummus Plate with Pita was delicious, as were the kabobs we enjoyed. The next morning we were heading out of town. I was hoping that we would stop for breakfast at the Abundance Artisan Bakery because we had heard how amazing it is. Sadly, Michael insisted that we hit the road at 6 am, two hours before they opened! Oh well, we had a long drive ahead, about 300 more miles north to Prince George for chapter two. About an hour into the drive, we took a short side trip through the small historic town of Clinton to the Chasm Ecological Preserve. While the Preserve was created to protect and study the forest of Ponderosa Pines, the view of the chasm is reason enough to take the detour. 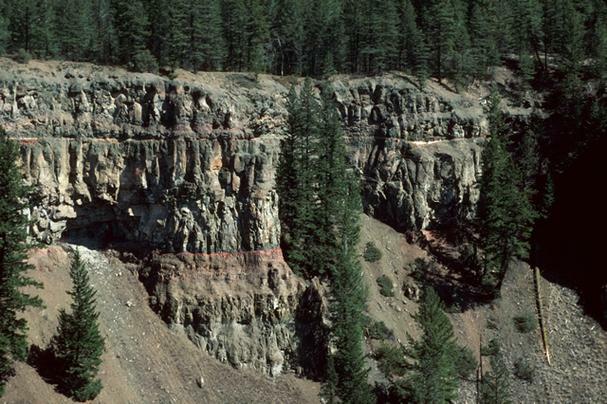 The deep canyon’s steep walls, showing veins of red, brown, yellow, and purple tell the geological story of thousands of years. And if you are lucky, while you are gazing down to the down to the Bonaparte River, you might see a bighorn sheep perched seemingly miraculously on the shear wall. Two more hours on the road, we were ready for a quick snack, so we stopped at Barkerville Brewing Co. in Quesnel. The tasting room is dominated by a vast custom made split log table where the locals often gather for a cold one. Of course, I had to try the Wandering Camel IPA (Yes – it is named for those unfortunate Gold Rush camels!) It is an unfiltered IPA, with notes of tropical fruit and an IBU of 48. Michael enjoyed the Mucho Oro Lager, which is easy-drinking light and refreshing, with a golden color and lightly hopped (IBU 15.) Michael often finds lagers a little light, but this one had just the right amount of boldness. We usually try to have different things to eat when we travel so we can share and experience more of the offerings. But neither one of us could resist the Ruben. Grilled on marbled rye, from the Quesnel Bakery, lean corned beef, sauerkraut, apple smoked cheddar and Dijon mustard – neither of us was sorry about the choice – it was delicious! The town of Quesnel is quite pretty and is located at the confluence of the Fraser and Quesnel Rivers. There is an abundance of recreational experiences, natural surroundings and lots of reasons to visit this friendly and welcoming town. 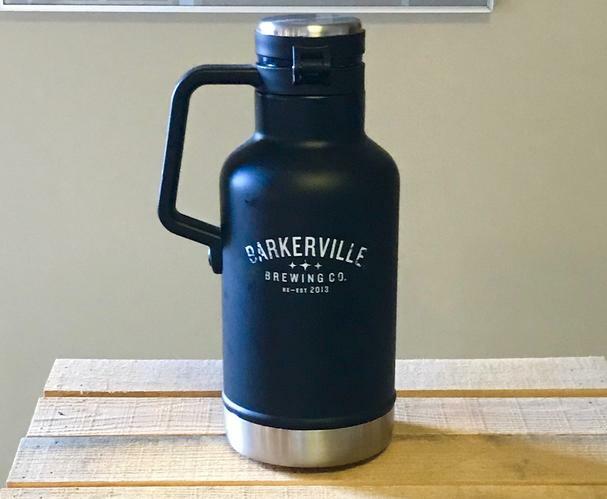 If you stay in Quesnel, you have a short distance to go to the town of Barkerville. A short distance on the road, but a long way back in time. Barkerville is National Historic Site of Canada and is the largest living history museum in western North America. You can actually watch the history of the gold rush being enacted! 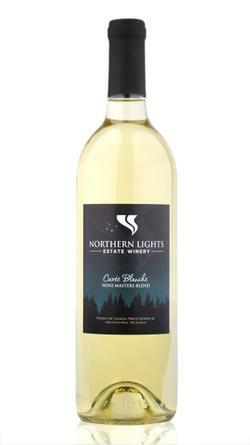 The road trip ends today in Prince George and a visit to Northern Lights Estate Winery – Canada’s northernmost winery. And it was a great way to be welcomed to the area. Owner/Operator Doug Bell greeted us warmly and gave us a tour of the orchards and gardens where the fruit is grown. Above the rows of berries, rhubarb, and apricots, and apple trees there is a small outdoor amphitheater that looks perfect for a summer concert. The Bell family has strong roots in Prince George and in the food and hospitality industry. Doug’s parents Pat and Brenda Bell started the family business as franchisees for Wendy’s, opening 2 restaurants in 1988. As the family enterprise grew, Pat began his political career by running for (and winning) the nomination as Member of the Legislative Assembly for BC. He went on to become Minister of numerous provincial agencies including Mining, Agriculture, Forests, and finally Jobs, Tourism and Skills Training. While Pat was busy with all of this, Brenda ran the family businesses. In 2013 son Doug took the family in a direction far from the fast food industry. He and his mother Brenda began construction of Northern Lights Estate Winery, bringing fruit wine to a whole new level. Fruit wine, especially the reds, are very fruit forward, and great for the non-traditional wine drinker. Their whites are beautifully complex in flavor. Our favorites were the Cuvée Blanche, Lumière Blanche, and the Heritage Haskap. The Cuvée Blanche is a wine master’s blend of gooseberry, apricot, apple, and rhubarb. It is an excellent choice for a summer evening on the patio, or paired with rosemary chicken! It has a complexity that easily competes with the best grape blends. The Lumière Blanche is very reminiscent of a great Pinot Blanc. It is a blend of many different varieties of apple, which gives it layers of subtle flavoring. It’s clean, fruit forward taste pairs beautifully with spicy chicken, oysters, or sushi. Heritage Haskap was definitely our favorite red. It is a blueberry wine, aged in Hungarian Oak with the robust flavor of a Cabernet and the color of a Shiraz. As the wine ages, it goes from fruit forward to a more complex structure. The 2016 vintage is a gold medal winner at the All Canadian Wine Championship. It is a robust wine, perfect with hardy foods, such as steak or venison. An interesting side note, it is not really a surprise that bear-human interaction in Prince George is a problem in the area. Especially in the fall when bears are looking for enough calories to carry them through hibernation, and fruit trees are often overloaded with unused fruit. This ends up with more bears being shot in fall than any other time of the year. One solution to this has been the Fruit Exchange Program by the Northern Bear Awareness Society. They make sure that people who have fruit trees in their yards and more fruit than they need are connected with someone who can utilize that fruit. Northern Lights grows most of its fruit on the estate, but they also participate in the exchange, which gives them access to many varieties of apples. After wandering the grounds and tasting the wines, we were ready to settle in at the Northern Lights Bistro for a marvelous dinner. 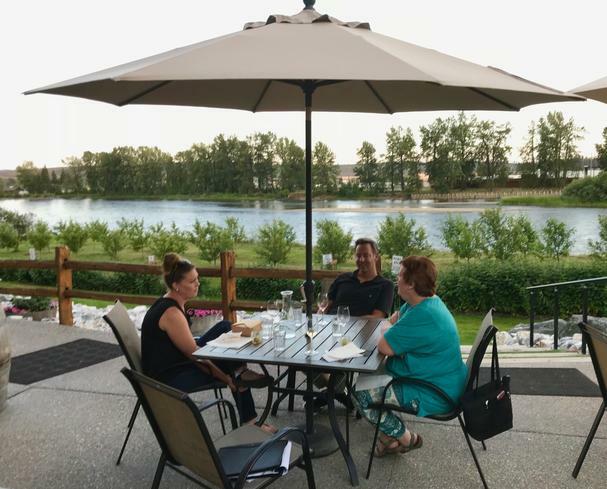 We sat on the charming patio, overlooking the orchard and the Nechako River and enjoyed the warm evening breeze. We shared the Charcuterie board which featured cherry-whiskey chorizo, wild boar salami, prosciutto, smoked cheddar and olives, pickled veggies and a truly delicious locally made mustard. All of the meats and vegetables are locally sourced. We then delighted in the Coconut Curry soup. The curry taste was beautiful, with a real kick of spice as like an after-burn. 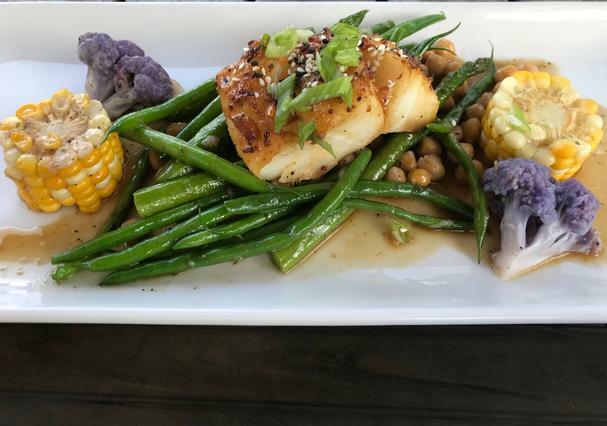 Michael loved the daily special which was tender, flaky, and delicious Sable Fish served with cauliflower, corn, and garbanzo and green beans. I was excited to try the Harvest Naan Flatbread Pizza. The grapes, brie, and rosemary combined for a perfect taste. We both declared that we were too full for dessert. 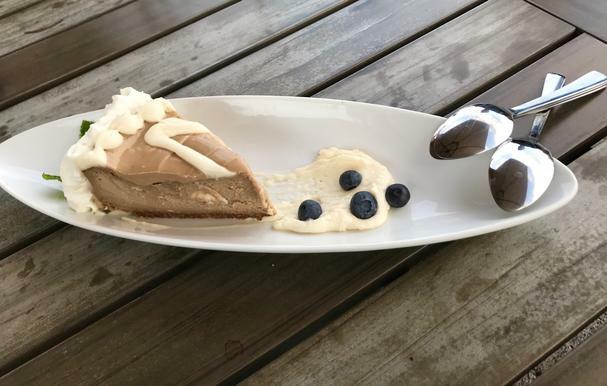 Then the waiter said the words “root beer cheesecake”! Not one to ever pass up a root beer opportunity, we went for it. And we were glad we did. The next day we headed out for a rainforest! I was a bit surprised to hear that there was actually a rainforest nearby. Not only was it so far north, but everywhere else in the world, temperate rainforests are located much closer to the coast. 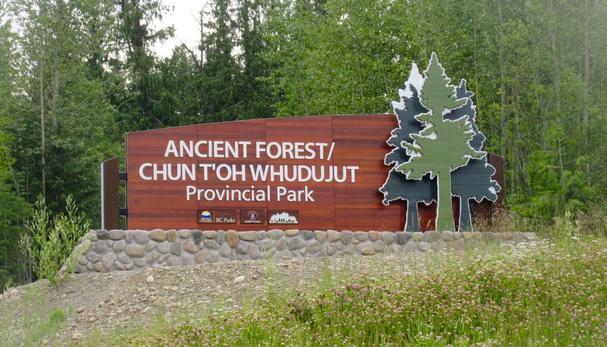 In fact, the Ancient Forest in BC is the world’s most inland rainforest. So – what does a forest have to do to be called ancient? Having trees that are about 2,000 years old is a good start. (Insert photo 15)Plus there are also over 400 plant varieties (some rare and endangered), and the forest is home to a large number of different animals and insects. We walked along the boardwalk and were just entranced by the enormous redcedars, some over 5 meters (16 ft) in diameter! There are three trails in the forest, you can spend 20 – 30 minutes on the Universal (accessible) Boardwalk, take 30 – 40 minutes for the Big Tree Loop (definitely worth it! ), or 60 – 90 minutes for the Waterfall/Tree Beard Loop. At one point in our wanderings, Michael spotted Mt. Robson peaking out. At 13,000 feet, Robson is a snow-capped mountain. It was a little strange to be looking at a snow-capped peak from a rainforest! On our “Next Time” list is a hike up Teapot Mountain. The trail is only 1.4 km (.80 mile), but it is steep and rugged. Good physical condition and hiking boots are recommended. You’ll be rewarded at the top with a 360 degree, stunning view of lakes, marshes, wetlands, and rivers below. Plus, we hear that those whimsical Canadian hikers have left a collection of actual teapots to guide you along the trail. A winter trip to Prince George would be great for snowboarders and skiers. There are four established skill hills, one just 15 minutes away from town. And for backcountry skies, there are unlimited possibilities. Back from our hike among the ancient trees, we went to Nancy O’s for lunch. You know those kitschy fake national chains that want you to feel like you’re in a pub? Well, walking into Nancy O’s you’ll know what those chains are missing – authenticity. Couple that up with pleasant staff and excellent food and you’ve got a winner. Walking in, we immediately felt, not just welcome, but at home. Except, at home, we don’t have nearly as delicious food! I talked Michael into ordering the Avocado B.L.T. He’s not really into BLT’s, but he is really into avocado! And he was so glad I did. It was served on house-made flax seed bread, and the thick and creamy avocado was perfectly set off by the delicious crispy bacon. Of course, due to my personal quest for the world’s best cheeseburger, I had to order the Blue Cheese Burger. Locally sourced beef served with Qualicum blue cheese, bacon, toasted pecans in caramel, red onion, and lettuce, it is definitely a contender! Co-owners Eoin Foley and Garrett Fedorkiw are dedicated to providing downtown Prince George with a great pub experience – and they are rocking it. For dinner that night, we joined the crowd at Crossroads Brewing in downtown Prince Georgia. When we commented on how crowded it was on a weekday night, our guide told us that it’s actually the weekends that are when the town is deserted. Seems most people in town own a cabin or summer place nearby and head out to join Mother Nature for the weekend. This is due to the old family property being handed down over the generations, cheap property rates, and a town full of nature-lovers. Nature lovers who apparently also love good food, because Crossroads provided us with another amazing meal. But, of course, we started with a beer flight. Michael had a hard time choosing between the ClearCut Lager, made in a traditional Pilsner style, with a nice malt flavor, light on the hops, and a full body. Cloud 9 Witbier was also a favorite, a characteristic Belgian Wit Ale. 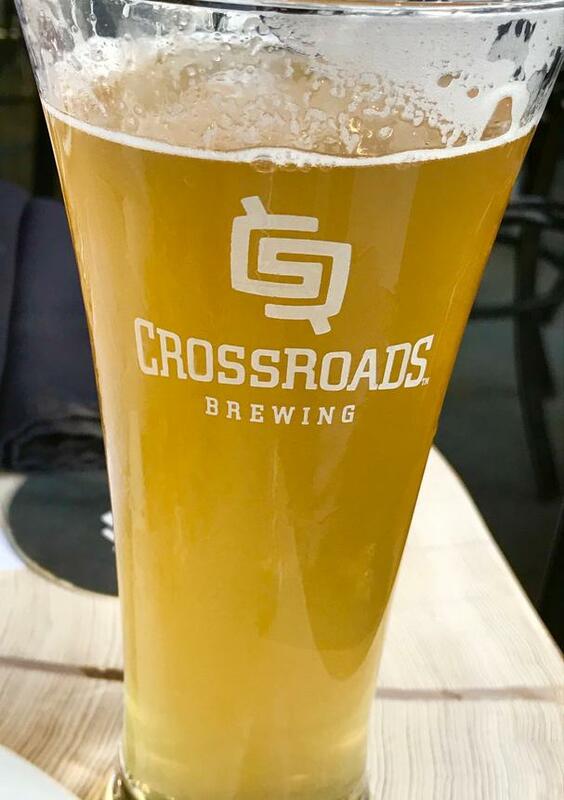 The pilsner malted wheat and oats are delicately flavored with the refreshing citrus flavor of orange peel and coriander. Being the hop lover that I am, I went for the Fast Lane IPA. With its IBU at 70, it is definitely “hoppy” and also features fresh citrus flavor notes. Yum! Crossroad’s Head Chef is Wayne Kitchen (yeah- he’s probably already heard all of those jokes!) Not only is he locally grown, born and raised in Prince George, but he also insists on locally sourced ingredients. Michael loved the West Coast Salmon, which was a wild BC sockeye salmon served with olive and citrus salsa. I had heard so much about their wood-fired pizza that I had to try the Mediterranean, with artichokes, olives, capers, feta cheese and sun-dried tomato pesto. Delicious! Home base for us in Prince George was the beautiful new Marriott Courtyard, located right in the center of town. Our room was lovely and comfortable. The hotel offers all the expected amenities (free WiFi, large flat screen tv, excellent dining choices, meeting rooms, etc.) plus the unexpected - an indoor saltwater pool! A short ten-minute walk from the hotel, to the Tourism Office, Michael picked up a bike rental for a final shift around town. He peddled first to the Railway & Forestry Museum to soak in some history about the rail, farming, and logging industry in Prince George. He then continued on to Cottonwood Island Nature Park. 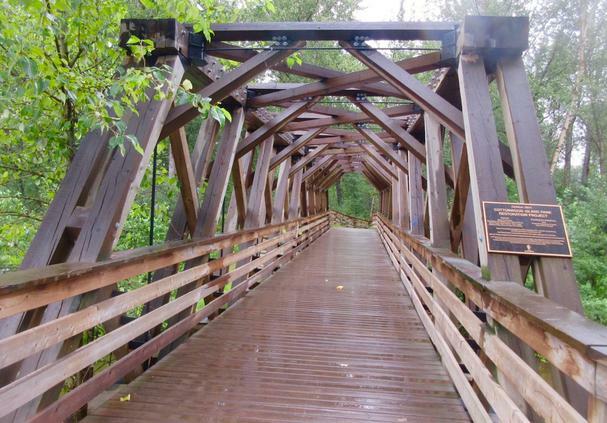 The 32-hectare park is part of the Heritage River Trail System that connects a number of parks along the Nechako and Fraser rivers. 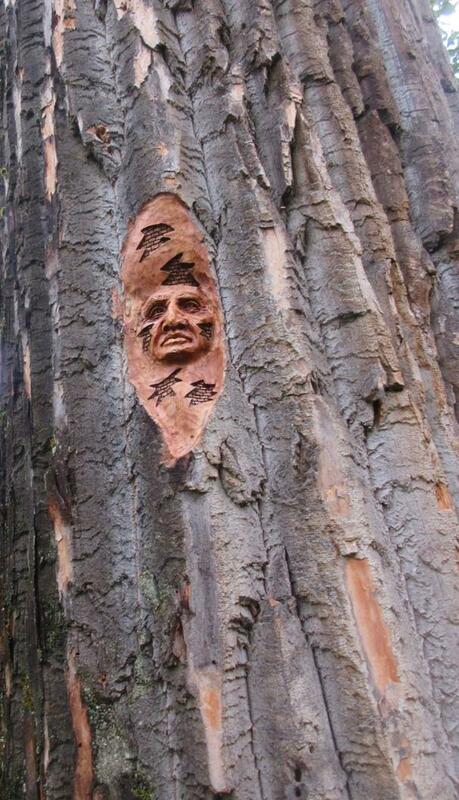 A highlight of the park is a collection of tree bark carvings by local artist Elmer Gunderson. The carvings were installed in three stages taking place in 2005, 2016, and 2017. Well, the time has come to begin our two-day trek back home. On our way, we were lucky enough to stop by Pinnacles Provincial Park. The walk along the ridge from the parking lot, was through sun-dappled forest, with lovely views of the forest below. Then we turned a corner and found a beautiful view of the Pinnacles. Or hoo-doos as they are known as locally. 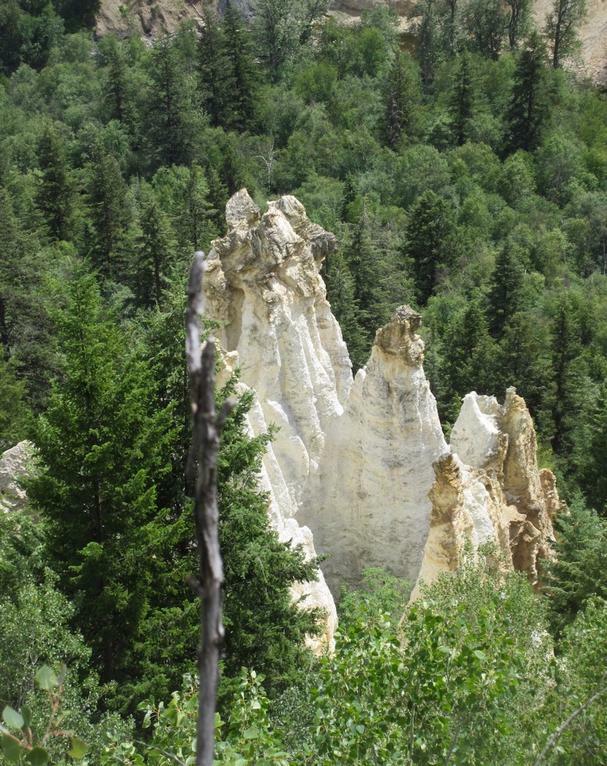 The basalt towers rising out of the forest are a stark white. Some we could see from the side, and others we were looking down on. They seemed like they had been transported here from another world! We stopped for the night in Clinton and stayed at the picturesque Cariboo Lodge. After checking in, we headed to the restaurant for some dinner. We ordered nachos and beer, and were astounded by a colossal tower of nachos, that were as delicious as they were towering! The next day, we were ready for a refueling stop and found a gem of a café – the Dogwood Café about halfway between Yale and Hope. Good old fashioned diner food – expertly prepared. So – another trip to beautiful British Columbia – and quite a few additions to our “Next Time” list. We can’t wait to go back! Please note that food and lodging were generously provided.